Ongoing pain can not only affect your daily activities, but also affect your mood and frame of mind. Conventional medicine offers a number of options for pain relief, but these often produce side effects, the risk of dependence or involve invasive surgery. If you have difficulty with side effects from strong medications or simply want a healthier option for managing pain, acupuncture may be right for you. 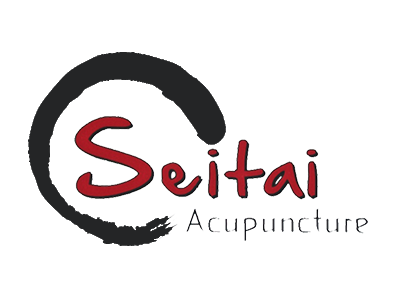 Seitai offers Brooklyn & Staten Island acupuncture to help manage chronic pain conditions. The experience of pain is a complex mix of nerves, neurotransmitter compounds, and messaging to the brain. Pain also involves emotional components, with anxiety and depression being common features of many chronic pain conditions. Factors such as genetics, gender, psychological factors, and social factors can all affect your experience of pain. Effective management of pain is critical to maintaining the ability to perform daily activities, as well as a positive frame of mind. Acupuncture offers a drug-free method to reduce the pain experience. Acupuncture is an Asian healing technique that has been used in Asian countries for thousands of years. The process uses very thin needles, which are inserted into specific energy "meridians" in the body. The needles block pain signals and improve the production of natural pain-relieving compounds in the body. The result is reduced pain, a greater sense of relaxation, and improved quality of life, even with painful conditions. During your acupuncture session you will lie down on a table in a relaxed position, while the acupuncturist performs the procedure. Very fine needles are inserted into specific points of the body that will be most helpful for your condition. The needles are left in place for a period of time and may be manipulated by the practitioner in various ways to increase their effect. After the session, the needles are removed, and the individual can continue their usual activities, with less discomfort. Generally, a number of sessions must be done for optimum effect. Our acupuncturists use their extensive training and years of experience to help individuals in Brooklyn, Manhattan, and Staten Island achieve relief from pain and promote a better quality of life. We provide acupuncture care for a broad range of health problems, including neck pain, back pain, headaches, neurological disorders, menstrual problems, and infertility. Call Seitai Acupuncture today at 917-475-1840 for an appointment to learn how acupuncture can help manage pain from a variety of health conditions.